OKC is a modern, upbeat city with a huge selection of top-notch dining and extensive nightlife options, as well as affordable lodging in the immediate vicinity of the show. If you're curious about how Paddlesports Retailer ended up in OKC, take a look at the innovative MAPS program. MAPS is OKC's quality-of-life tax initiative that helped the city raise $57 million for an urban whitewater park and $53 million to restore the Oklahoma River, which is now a USA Canoe/Kayak official training site and USRowing's National High Performance Center. Having a combination whitewater/flatwater demo site only a mile from the convention center attracted Paddlesports Retailer to town. MAPS is also funding the new OKC Streetcar, Scissortail Park and the brand new 200,000 square-foot Downtown Convention Center that will house Paddlesports Retailer starting in 2021. All of these projects will provide major new amenities to show attendees over the next few years. We've only hosted the event in OKC once so far, but we’ve already started putting together our favorites list.  Staying downtown in the Paddlesports Retailer Hotel Block guarantees convenient access to most of these amenities before and after show functions. Note that we didn't include the Boathouse District and Whitewater Park since the Demo Day will be held here. 1) Bricktown Canal and the Bricktown Entertainment District: Great for a stroll or a run, the canal is just east of Cox Convention Center and is surrounded by landscaped parks, restaurants and bars. Be sure to check out the impressive Centennial Land Run Monument, with 45 bronze sculptures fording the south end of the canal. 2) Myriad Botanical Gardens and Scissortail Park: Myriad Botanical Gardens is an interactive urban park across the street from Cox Convention Center. Access to the outdoor grounds is free, but a small admission fee is required for the Tropical Conservatory. In time for the 2020 show OKC will be opening Scissortail Park, a $132 million 70-acre urban park, just to the south of Myriad Botanical Gardens. 3) Oklahoma City National Memorial: Though a visit to this solemn site isn't recreational, we think it's something all show attendees should do at least once. The memorial is very powerful, with notable elements like the Gates of Time and the Field of Empty Chairs. We recommend visiting after dark when the memorial is dramatically illuminated. The memorial is about a 15-minute walk to the north of Cox Convention Center. 4) Explore other Hot-Spots: If you get in early or leave late, try to get further away from downtown. We got to Waffle Champion and Fassler Hall (a German-style beer hall) in Midtown and Goro Ramen + Izakaya and Pie Junkie in the Plaza District. Also the brand-new OKC Streetcar is now open, and it loops from the Convention Center through Bricktown and up to Midtown. 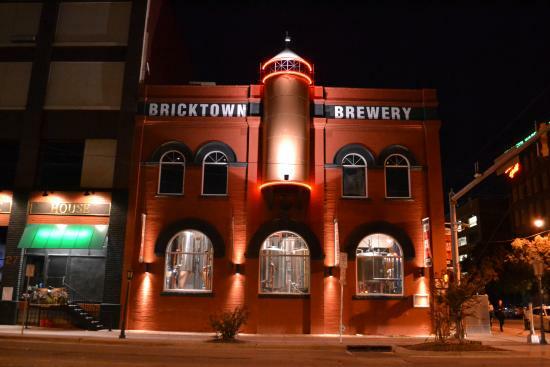 5) Breweries: The Bricktown Brewery in the nearby Bricktown District is the most convenient, but Anthem Brewing Company, Angry Scotsman Brewing and Stonecloud Brewing Company are all just a five-minute cab ride away. If you can’t make it to all the breweries, try TapWerks Ale House in Bricktown, one of America’s top 100 Beer Bars, with 212 taps and 100+ bottled beers. 6) Eat a steak: You're in Oklahoma after all. Mahogany Prime Steakhouse and Mickey Mantle's Steakhouse are both less than a 10-minute walk from the Cox Convention Center. 7) Get caffeinated: For a quick and delicious caffeine fix in walking distance to the show, hit up Clarity Coffee. It’s a cute local shop showcasing local artists and pouring specialty coffee drinks along with your usual cup o’ joe. They sell beautifully packaged chocolate bars that make great gifts for the family, too. Also try Leaf + Bean or the super-hipster Stitch Cafe. The closest Starbucks is a six-minute walk down Reno Avenue. Click here for directions from Cox. We didn’t make it there ourselves but heard great things about The Urban Taco Shop, if you’re in the mood for good Mexican street food. In case you’re multi-tasking, it’s directly across from a Fed Ex Office Print and Ship Center. You might try Pitchfork Kitchen and Bakery or Caffeina’s Deli in the lobby of the Renaissance Hotel if you’re in a hurry but crave a fresh salad or soup/sandwich combo. Italian Express is great for pizza-lovers. And there’s always Subway! Bring lunch to your hard-working team, and get some fresh air while you’re at it. It’s only a couple of blocks away at 216 N. Harvey Street. Convenience Stores: The closest convenience store to Cox Convention center is On The Run Convenience & Deli located at 222 East Sheridan Ave. #9 (open until 2am). If you’re headed to the Riversport Adventure Park, you could also swing by Circle K at the corner of Reno Avenue and N. Lincoln Blvd. Post Office: It’s just right around the corner from the Convention Center at 101 N. Broadway. Taxis are available at downtown hotels and the Transportation Plaza at Will Rogers World Airport. The plaza can be accessed from baggage claim on the lower level of the terminal. Average fare from Will Rogers World Airport to downtown Oklahoma City is $25. The Downtown Discovery is a free transit service with stops located throughout downtown and Bricktown. To learn more, visit www.embarkok.com or call (405) 235-7433. The Spokies bike share program is a fun, affordable and convenient way to explore downtown Oklahoma City. To learn more, visit spokiesokc.com or call (405) 297-1331. More than your average transit option, Oklahoma River Cruises offers a variety of specialty cruises and regularly scheduled river transit trips Wednesday - Sunday from April to December. No need to worry about the heat or cold, because the beautiful 65’ river cruisers have climate-controlled cabins. Trip times and fares vary by destination. All cruisers are ADA accessible. Visit okrivercruises.com for reservations, or call (866) 825-6363 for more information.